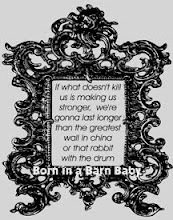 Born in a Barn: It's true! 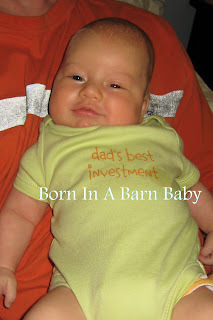 I love that onesie. And, yes, he is quite the chunk. He is up to almost 12 lbs, as of yesterday at 6 weeks, 5 days. F-bomb as his first word?